Microwave Drawers have increased in popularity over the last few years in new homes and kitchen remodels. Not only are these appliances aesthetically pleasing by being more integrated into your cabinets, it’s also convenient to not have a loose swing door that can potentially swing open recklessly. A lock can also be an option to prevent our younger children from gaining unwanted access. 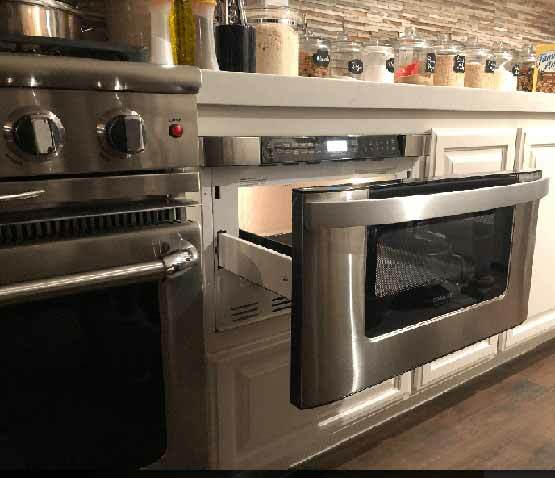 Although a bit more pricey than conventional microwave ovens, microwave drawers offer convenience and a sleeker look when it comes to making your kitchen advanced and coordinated. Zeiba Builders of Long Beach has and will install these microwave drawers to compliment any kitchen. Feel free to contact us at (562) 439-5294 to get more information on how to upgrade your kitchen.